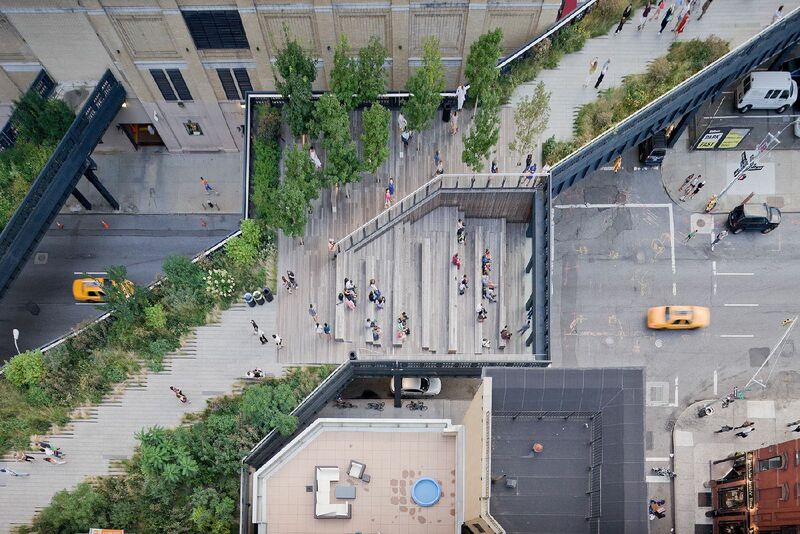 New York’s High Line park, an innovative promenade created on a disused elevated railway, is one of the world’s most iconic new urban landmarks. Portland’s Green Loop, a proposed 6-mile linear park and active transportation path, is an ambitious design concept promoting a new type of civic ecology. Featuring presentations by urban theorist Christoph Lindner and Marc Asnis of the City of Portland’s Urban Design Studio, this evening of discussion will explore how these two linear park projects connect with a range of pressing urban issues facing cities, including sustainable design, gentrification, historic preservation and cultural resources, community activism, and the privatization of public space. Christoph Lindner is dean of the College of Design at the University of Oregon and honorary research professor in cultural analysis at the University of Amsterdam. His work focuses on the interrelations between cities, globalization, and creative practice. Recent books include, with Brian Rosa, Deconstructing the High Line: Postindustrial Urbanism and the Rise of the Elevated Park (Rutgers University Press, 2017), Global Garbage: Urban Imaginaries of Waste, Excess, and Abandonment (Routledge, 2016), Cities Interrupted: Visual Culture and Urban Space (Bloomsbury, 2016), Imagining New York City (Oxford University Press, 2015), and Paris-Amsterdam Underground (Amsterdam University Press, 2013). Marc Asnis is an urban designer at the City of Portland’s Bureau of Planning and Sustainability. He serves as an advisor on the development of urban design concepts for strategic planning projects city-wide, including the adopted 2035 Comprehensive Plan, Central City 2035 Plan, and the Better Housing by Design project. Marc's commitment to ecological urbanism informs his work on helping Portland become more healthy, vibrant, and equitable. Marc is a LEED accredited professional and holds a Master of Architecture from the University of Oregon and a Bachelor of Arts in Architecture from Washington University in St. Louis. The Urban Design Studio at the Portland Bureau of Planning and Sustainability advances the design quality of places citywide. UDS employs visual and graphic technologies to illustrate ideas and concepts about future physical changes as Portland continues to grow. These ideas are eventually translated into policy, objectives, guidelines, and projects to forward community-supported design. UDS’s practice builds upon Portland’s unique setting and history, its special places, and its changing population to enrich the quality, health, and livability of the city. Copies of Deconstructing the High Line will be available for purchase at the program. Free admission ($5 suggested donation); as seating is limited, pre-registration is recommended.